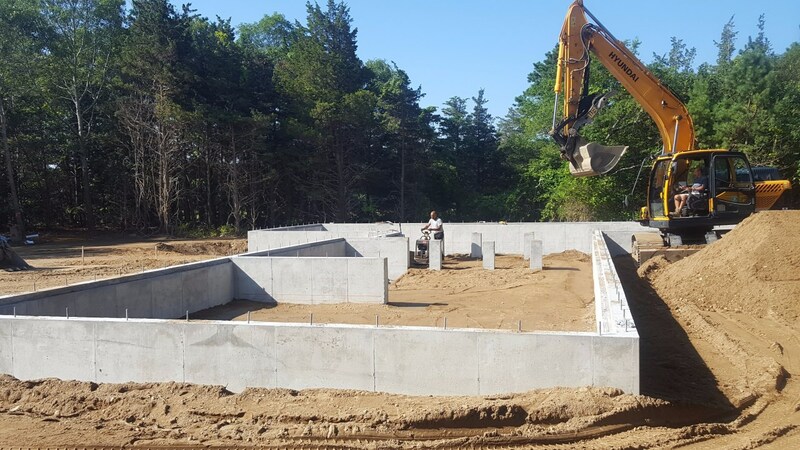 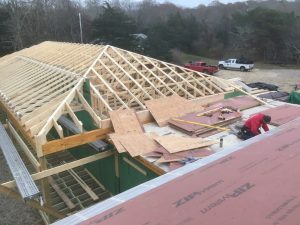 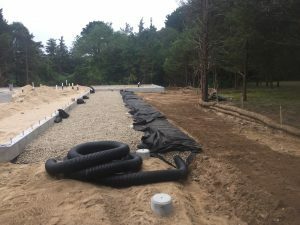 High Performance Home Falmouth | Shoreline Builders Inc. The balance of the wall cavity is filled with 5 ½” of blown rock wool to provide excellent R-value and fire protection. 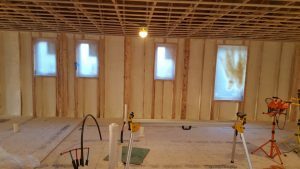 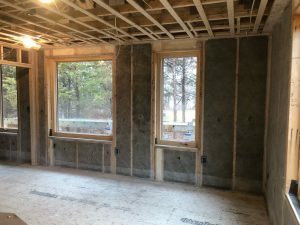 2” of closed cell spray foam is installed in the wall system to assist with air sealing. The double layer of Advantech sub-floor is installed over the rigid insulation to provide a solid floating sub-floor system. 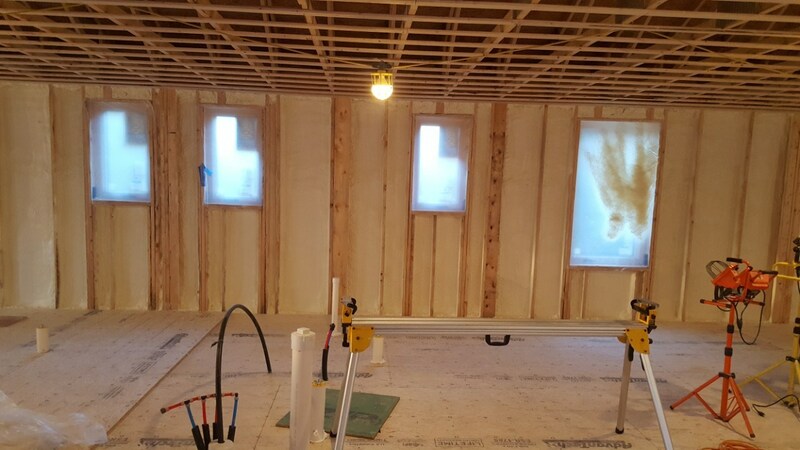 9” White Pine finished flooring will be installed over the sub floor. 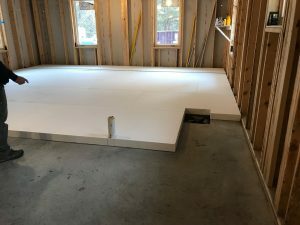 Installation of 4” of rigid foam over the slab provides a continuous insulation barrier above the slab. 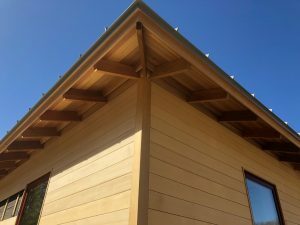 Installation of the red cedar outriggers and cedar eave detail. Installation on roof trusses and 5/8” Zip roof sheathing. 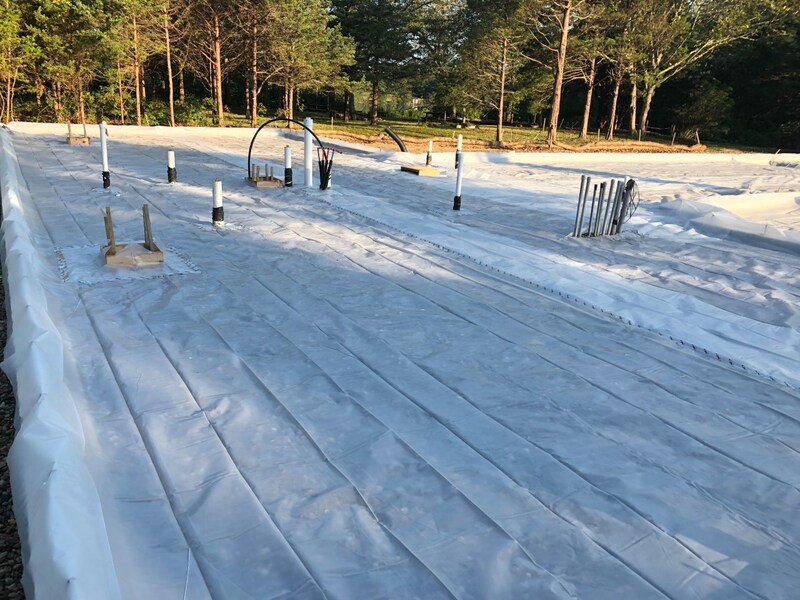 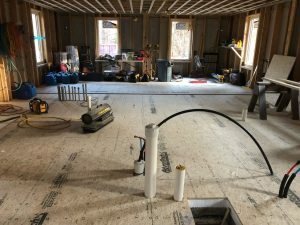 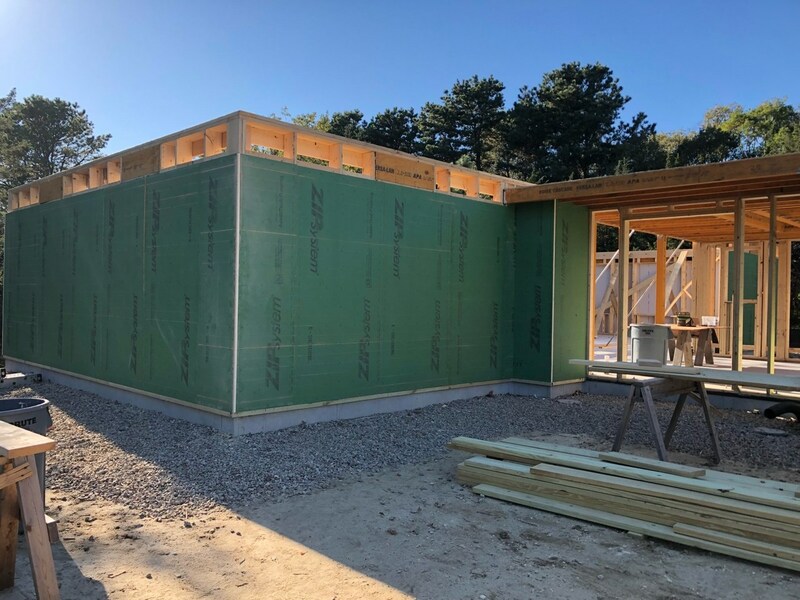 Installation of Zip System R – 6 wall sheathing, provides continuous R-6 rigid insulation to combat thermal bridging and provides an excellent air tight wall system when combined with acoustical sealant and the zip tape system. 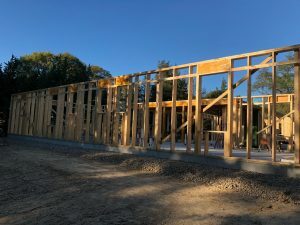 2 x 8 walls going up at 2’ OC. 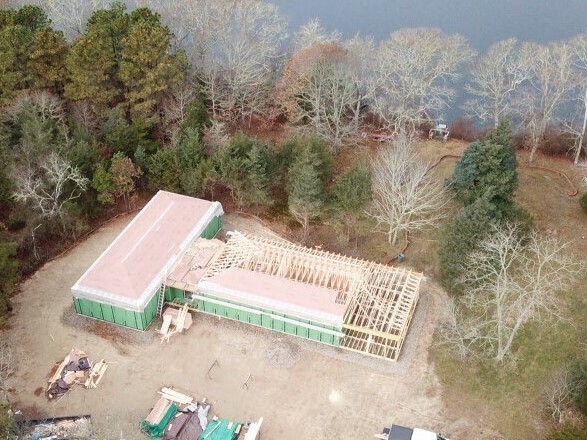 Installing pre-cast piers to support the wrap around deck and roof structures. 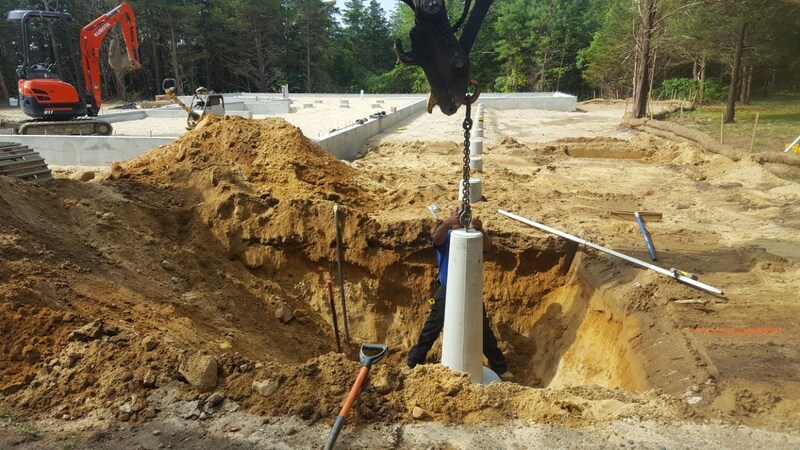 Installing the ground gutter. 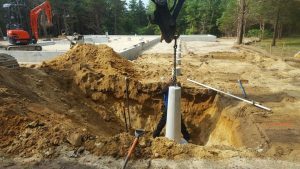 This 6” PVC ground gutter runs the perimeter of the foundation at the drip line of the roof. 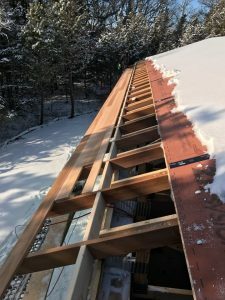 This house will not have gutters and this ground gutter carries the roof run off to daylight. 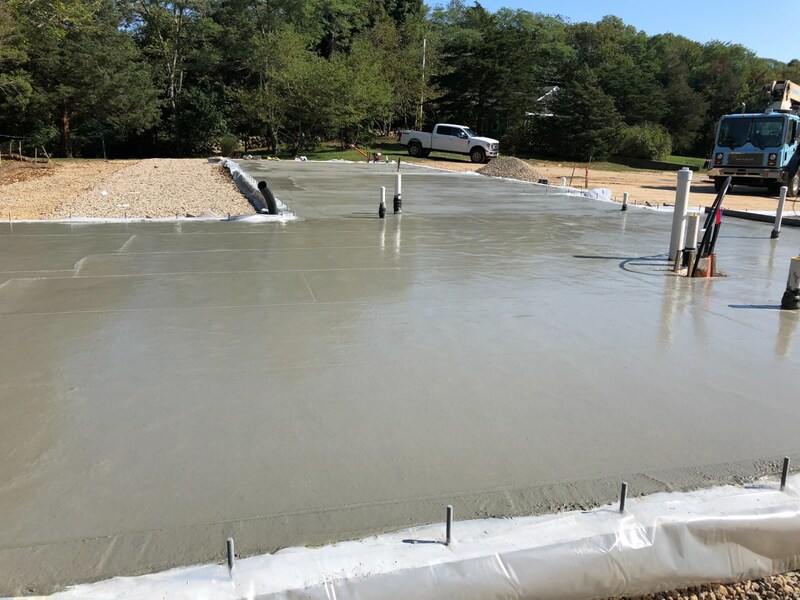 Installation of the slab over 12” of crushed compacted stone. 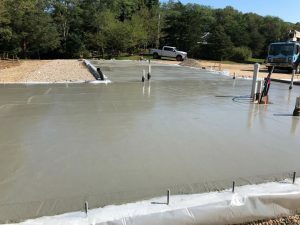 This slab will provide the base for the 4” of continuous rigid insulation that will be installed under the sub floor. Vapor barrier installed over 12” of crushed stone on top of the compacted fill. 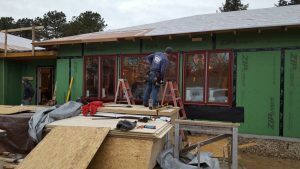 Copyright © 2019 Shoreline Builders Inc.. All Rights Reserved.